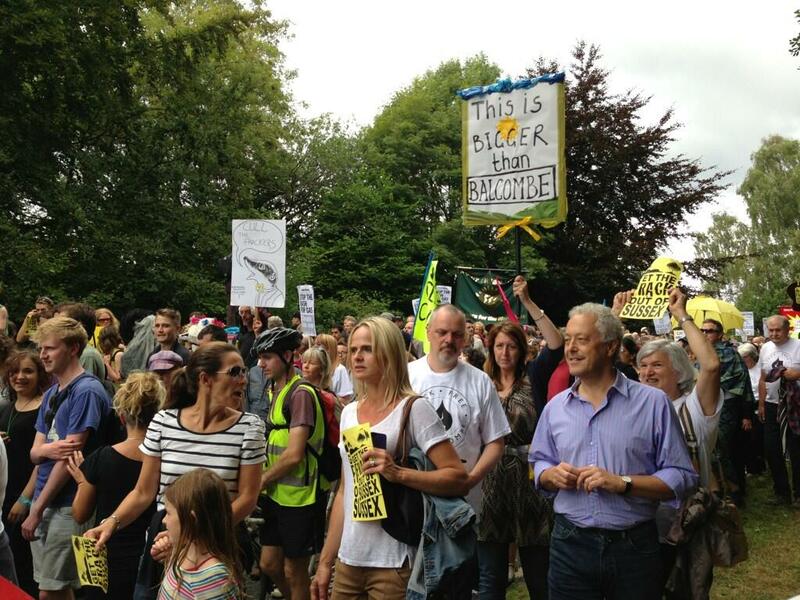 Hastings and St Leonards residents, including members of the Combe Haven Defenders, joined the national March for a Frack Free Future in Balcombe, West Sussex last Sunday (18 August), where UK energy company Caudrilla has set up an exploratory drilling rig. An estimated 2,000 people from across the country took part in the march against fracking, the process that uses high pressure fluids to free hydrocarbons trapped in certain kinds of rock. Concerns about the process include fears that contaminated water from fracking could spread into the environment, polluting ecosystems, and the fact that – according to groups like the International Energy Agency – most of known gas deposits will need to stay in the ground if we are to have a hope of averting catastrophic global warming . « Urgent call for donations!